The Benefits of Zuriate Fruits are = Seeds of the Caliph's descendants in the world. The original fruit from Hulu Egypt, is also found in Sudan, Southern Sudan, Kenya and Tanzania. It has a height of 15.2 meters (50 feet) and the tree has a sleek rod and smooth branch, each ending with a small fan, stiff, green, like a leaf. The fruit of this tree is orange red is often equated with ginger. The fruit is eaten raw, and the skin of the seeds can be made into sweets and syrups. The fruit often heals wounds. The leaves can be used as mat material mats and can be paper material. This fruit is often found in Egyptian tombs since 5,000 years. This tree is a native tree that grows in Egypt, sub-Saharan Africa and is also found in West India. This tree is a useful tree and is known in the world. This tree is a member of the palm family, Arecaceae. Small and branched rods often divide into two like Y and often in each branch divide again in Y shape. This gives a very distinctive tree look. In its own branch the branch is used as a construction, as well as for the manufacture of various household appliances and leaves can be used for making mats, binders and can also be paper for writing. 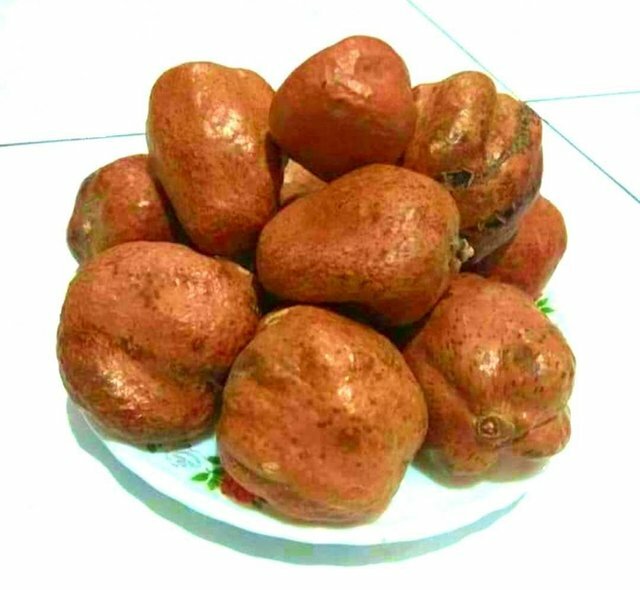 The fruit is oval, yellow, or red for the size of apple orange has a red outer skin tone, thick fibrous fruit, chewy and slightly sweet (Mesocarpnya). It tastes like ginger and big. Fruit meat is usually used in cooking, in different ways, and different varieties are different in nature. While the mature part is difficult to eat then it is usually used as a mixture of vegetables. For people living in the desert use this fruit as a food to sustain life and be used as food that prevents hunger. People in the Turkana region of Kenya rely heavily on this fruit during the 1992-1994 drought year. And the ancient Egyptians, have used this zuriate fruit as uterine fertilization and improve the quality of sperm. 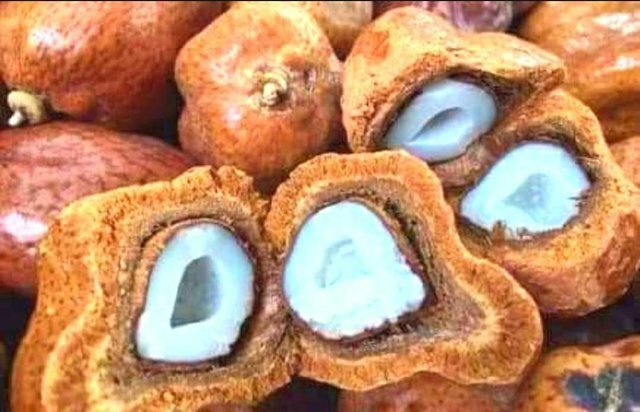 Until now, the fruit of zuriat is known not only in Arabia but also in various countries in the world in its usefulness to get offspring. Mouri own water content is 24.05%, while humidity is adjusted to the value of the contents of the fruit, where humidity can be 29.85%, 38.50%, 50.07% and 67.59%. Fruits can absorb moisture without water swelling and allow it to be preserved in fruit, therefore, there is no significant increase in fruit size. The average thickness of meat is 5.43 mm, with a range of 3.19-7.57 mm. 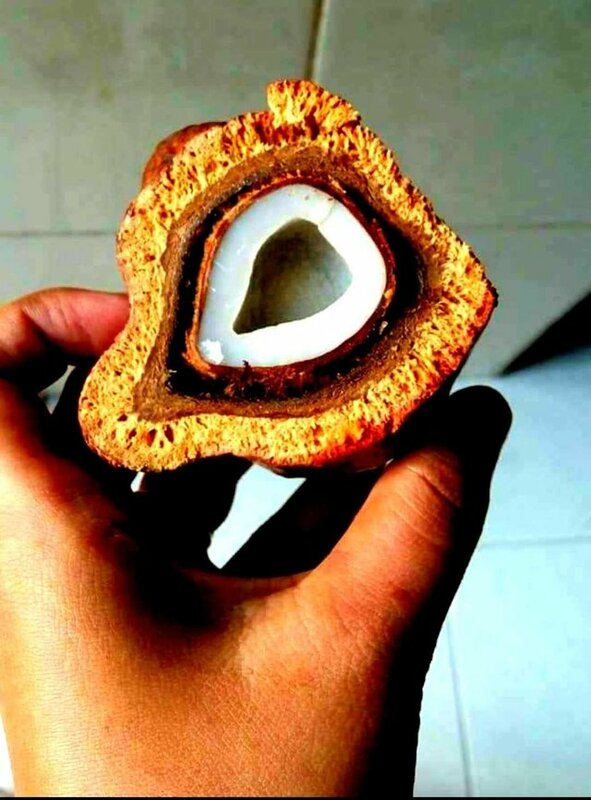 This value is obtained from the dimensions of the Zuriat coconut that has been separated from other parts. The value of this meat can be maintained when the fruit is peeled.